Technology has changed the way people communicate and do business with each other. Tracking technology has evolved from the developments in personal computers, mobile phones, the GPS Global Positioning System and the Internet into what is now described as “vehicle telematics”. In this section we would like to focus on vehicle tracking as the “use of computers and telecommunications to enhance the functionality, productivity and security of both vehicles and drivers”. This can also be described as the technology of tracking the movements and/or status of a vehicle or fleet of vehicles, through the use of a vehicle tracking device, typically equipped with a GPS Locator and GPRS modem, which is fitted in the vehicle. What do I need to know about Vehicle Tracking? A vehicle tracking system is basically an electronic device installed in a vehicle to enable the owner or a third party to track the vehicle's location. Most modern vehicle tracking systems use Global Positioning System (GPS) modules for accurate location of the vehicle. Many systems also combine a communications component such as cellular or satellite transmitters to communicate the vehicle’s location to a remote user. Vehicle information can be viewed on electronic maps via the Internet or specialized software. Typical vehicle tracking systems are comprised of two core parts; location hardware (or tracking device) and vehicle tracking software. The tracking device is most often hardware installed in the vehicle; connected to the ignition switch, battery and antennae. The typical tracking hardware for a fleet management solution uses GPS to pinpoint its location and then updates are transmitted at a regular timed interval or after an event trigger, e.g. ignition on / off. The location data is made available for viewing through many of the solutions sold today, via a website, accessed over the internet, where fleet activity can be viewed live or historically using digital maps and reports. Vehicle tracking is also described as being "Passive" and "Active". "Passive" devices store GPS location, speed, heading and sometimes a trigger event such as key on/off, door open/closed. Once the vehicle returns to a predetermined point, the device is removed and the data downloaded to a computer for evaluation. "Active" devices also collect the same information but usually transmit the data in real-time via cellular or satellite networks to a computer or data centre for evaluation. It is important for business managers to understand how vehicle tracking technology is best introduced. It is suggested that business owners should explain to drivers why the system is being proposed, how it will work, what it will achieve and what it will and won’t do. How this is introduced can have a massive impact on its acceptance by the workforce. It should be explained that cases of vehicle theft, unauthorised use and speeding will be detected, but that any penalties will be defined in disciplinary procedures before the system starts. Employees should understand how the system will be used to improve emergency response in the case of accidents and to protect vulnerable lone workers. This should reassure employees and resolve the fears that result in the implementation of new technology. Vehicle tracking systems reduce running costs by specifically targeting those who speed and waste fuel. It reduces time wasted through vehicle maintenance. In addition, by having a service that ensures your vehicles are regularly serviced means that resale values for the fleet will be higher. It can also help to avoid penalties for issues such as bald tyres and tax as reminders are clear and precise. Insurance companies often offer discounts to companies who implement a GPS vehicle tracking system. This is not only because it encourages safer driving, but also helps recovery if thefts do occur. Vehicle tracking systems are popular in consumer vehicles as a theft prevention and retrieval device. When used as a security system, a Vehicle Tracking System may serve as either an addition to or replacement for a traditional car alarm. Productivity of workers can be increased by being able to keep track of lunch hours, exposing unauthorised stops and breaks and by evaluating the overtime requests of workers. Tracking devices help businesses to become more “customer friendly”. Drivers now only need a mobile phone with telephony or Internet connection to be inexpensively tracked by and dispatched efficiently to the customer. Business owners can find their most productive employees and use this information to implement further training or even implement a system of bonuses to enhance staff members' work ethic. Mobile sales professionals can access real-time locations. For example, in unfamiliar areas, they can locate themselves as well as customers and prospects, get driving directions and add nearby last-minute appointments to itineraries. It provides easy access to answer enquiries rapidly and accurately. Vehicle tracking systems reduce the amount of paperwork that drivers must fill out. By doing this you not only soften the blow of introducing such a system, but also increase the accuracy of your records. Business owners are more in touch with their business operations and see an increase in efficiency, productivity and accountability in their businesses. While paying the same wages many companies see a significant increase in productivity that often coincides with the installation of the tracking system. This leads to more jobs completed per day, reduced journey times, fuel savings and improved customer satisfaction. Improved health and safety – knowing the location of a workers vehicle can be of significant benefit if that person were to require immediate attention. The above benefits of vehicle tracking systems are well known amongst fleet management companies. It is also important for the vehicle owner to be alert to the benefits that vehicle equipment and software can have in protecting the physical safety and the general well being of loved ones. In private cars, installing vehicle tracking software makes the concept of owning and running a private car less stressful for the owner. Emergency Assistance - vehicle tracking software will be able to provide accurate information of your car's whereabouts. In an emergency situation, this will enable instant access to receive medical or emergency assistance. The police or tracking company can follow the signal emitted by the tracking system to locate a stolen vehicle. Car thieves might tend to stay clear of cars displaying a tracking system sticker or those known to have a tracking device. Data to show driving performance monitoring will not only improve driving but also help to optimise the performance of the vehicle. Reducing the average speed of your vehicles and getting your vehicles to slow down and stay within the speed limits relate directly into reduced fuel consumption and maintenance. This could also lead to fewer accidents and a saving in your monthly running costs. Insurance companies might provide a lesser premium if shown your vehicles are now driving slower, driving less distances and you are reducing the risk of accidents. The additional benefit of reducing speed is that you may hold on to your license longer and receive fewer traffic fines. You can reduce your insurance liability, reduce servicing and maintenance costs with more money available for new and safe tyres. Vehicle tracking software not only provides totally accurate directions, but the system might also suggest alternative routes when traffic congestion is detected ahead. 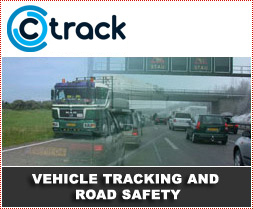 There is a wide range of vehicle tracking suppliers available and many might claim to be the best! The truth is there is no ‘best’ vehicle tracking supplier, but there will be a supplier whose vehicle tracking products and services meet your specific requirements, are reliable, well established, and offer good support at the right price. What factors do you need to consider whilst making a decision on vehicle tracking for your vehicle? Learn as much as you can about different systems. Research them on the Internet, call the companies and ask for literature. The vehicle tracking system needs to be able to do what you require of it. Determine how much money you are willing to spend. Check exactly what you are getting for your money. Check the fixed and variable costs, set up charges, annual software licensing etc. Qualify and quantify each benefit and prove to yourself and others in your business that there would be a return on each of these benefits and that they are not just a ‘nice to have’. Customer support – technology is never perfect and vehicle tracking is no different. You will have problems with some of your units over time, which is to be expected, but you need to know that you have the support there when needed. Financial Stability of the Tracking Supplier – there are a rapidly increasing number of tracking companies entering the industry, and almost as many are failing to survive in a very competitive environment. Enquire about your tracking supplier and find out a bit about their history. Find out if, in addition to the fixed costs, there are additional monthly charges e.g. "Airtime". Monthly charges, in addition to the cost of the system itself, can add up. Check the coverage of the tracking system. Are there black spots? If there are, where are they? What happens to the data if the Vehicle Location Unit installed in the vehicle cannot transmit due to a coverage black spot?  (lack of GSM, GPRS, Satellite Communications) Does the unit store the location updates? If so, how many and for how long? It is important to be aware that the technology you acquire today may be quickly overtaken by the technology of tomorrow. Your vehicle tracking partner must be able to provide you with new technology and upgrades! Vehicle tracking is important technology for the safety not only of fleets of vehicles –but also for the ordinary driver. This is to become even more important for road safety as the technology becomes increasingly accessible and inexpensive. The Arrive Alive website would like to urge all road users to investigate this technology as an important safety feature.